This just in: Connor McDavid is quite good. 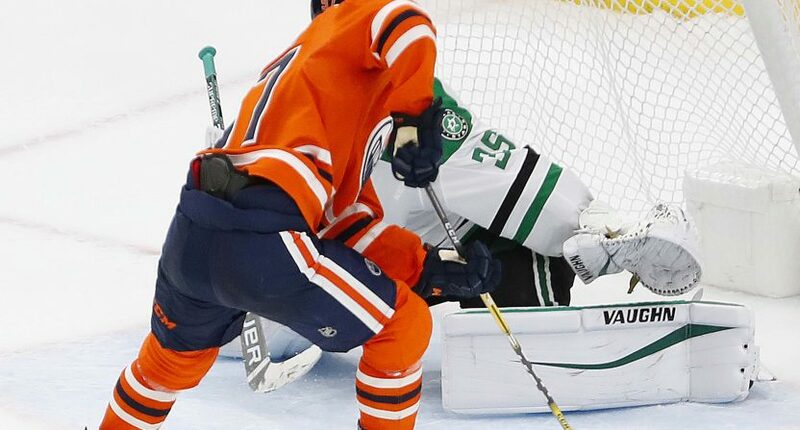 The Edmonton Oilers’ center scored his 40th goal of the season on Thursday night against the Dallas Stars, and it was absolutely insane. McDavid, 22, went between-the-legs and got the shot up so quickly that it was hard to even follow on the live broadcast. The Oilers would go on to lose the game 3-2 in a shootout, but McDavid certainly isn’t to blame. Along with the 40 goals, McDavid has 114 points, which is good for second in the NHL.